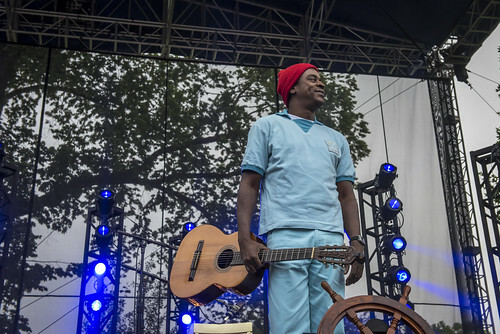 After more than a decade since its release, Seu Jorge set sail to bring back his much-acclaimed 2005 soundtrack to the Wes Anderson film The Life Aquatic with Steve Zissou to adoring fans. 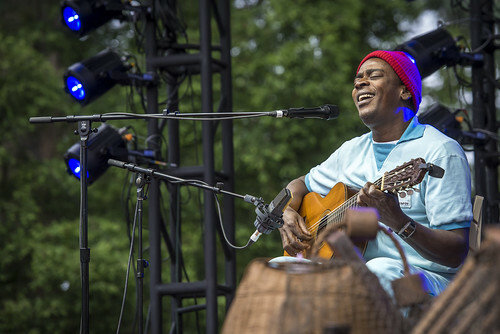 Performing live across the globe, the acclaimed Brazilian singer-songwriter provided not just nostalgia for that quirky movie, but reminded us once again of the brilliance of David Bowie, whose songs Seu Jorge interpreted so intimately. 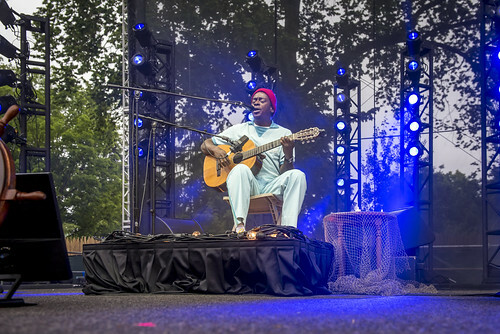 Recently, Jorge returned to Seattle, only about six months after his first appearance here on this tour, but this time in a completely different and totally engaging venue: Seattle's Woodland Park Zoo. 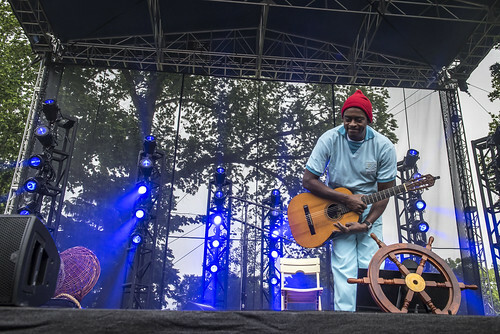 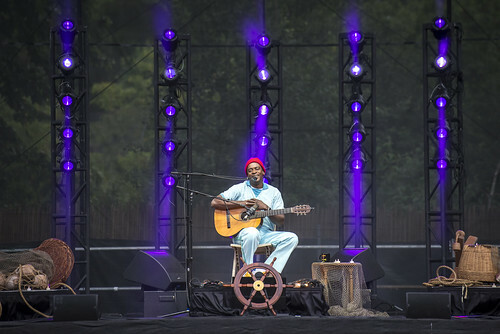 As part of the creatively curated ZooTunes series, Seu Jorge donned his red sailor's cap for an outdoor show on the lawn inside the zoo. 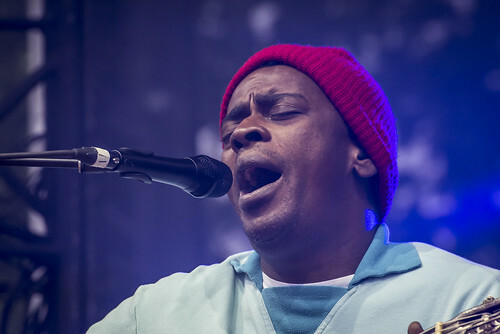 See Concerts. 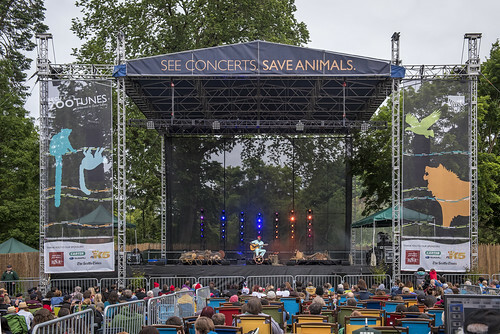 Save Animals - it's a wonderful and worthy cause even if the artists scheduled weren't so great. 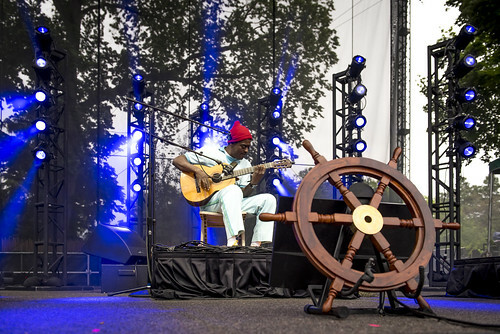 Fortunately, they are, and while the Seu Jorge show is over, you can still get tickets for some other sure-to-be-unforgetable concerts, including Aimee Mann on July 18th, Violent Femmes with Echo & The Bunnymen on August 2nd, Cake on August 10th, Blind Pilot with Gregory Alan Isakov on August 13th, Pat Benetar on August 15th, and St. Paul & The Broken Bones with Trombone Shorty & Orleans Avenue on August 20th. 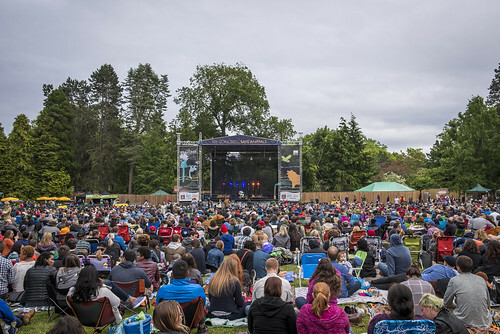 KEXP announces the line-up for the 2018 ZooTunes summer series at the Woodland Park Zoo, including Andrew Bird, X, Psychedelic Furs, and many more.